Natural language processing From Wikipedia , the free encyclopedia Natural language processing ( NLP ) is 「the free encyclopedia Natural language processing (NLP)(a field of computer science )」, artificial intelligence , and linguistics concerned with the interactions between computers and human ( natural ) languages . 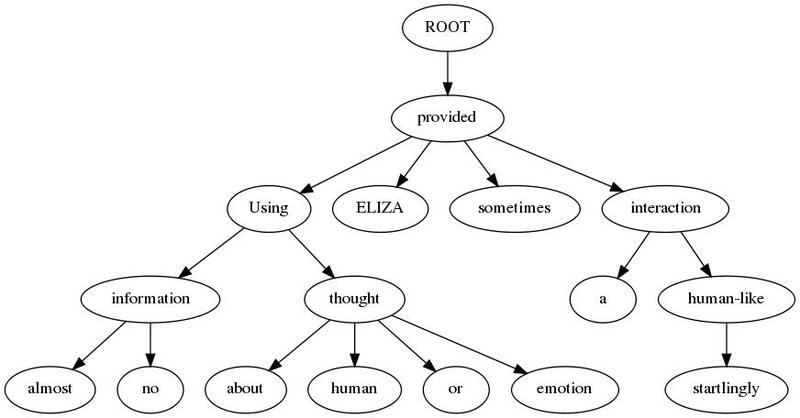 As such , NLP is related to the area of humani-computer interaction . Many challenges in NLP involve natural language understanding , that is , enabling 「computers(computers )」to derive meaning from human or natural language input , and others involve natural language generation . History The history of NLP generally starts in the 1950s , although work can be found from earlier periods . In 1950 , Alan Turing published an article titled `` Computing Machinery and Intelligence '' which proposed what is now called the 「Alan Turing(Turing )」test as a criterion of intelligence . The Georgetown experiment in 1954 involved fully automatic translation of more than sixty Russian sentences into English . The authors claimed that within three or five years , 「a solved problem(machine translation )」would be a solved problem .